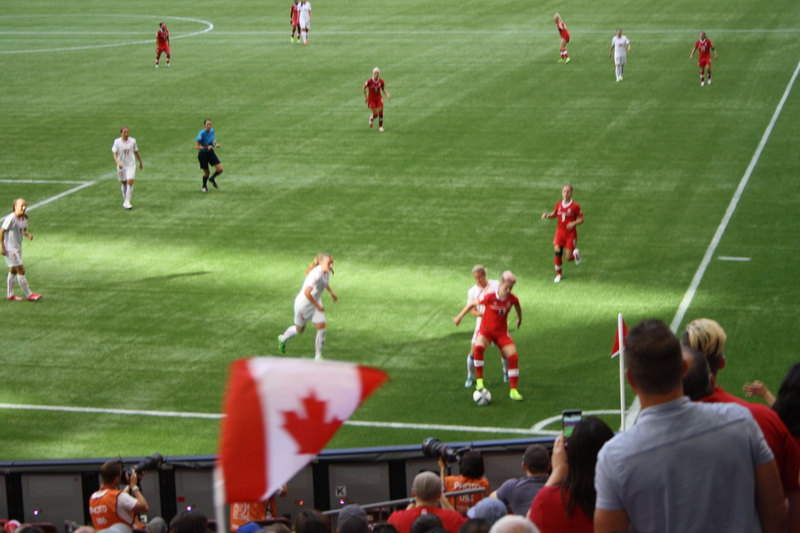 You can understand with the WWC happening here in Vancouver, there would be a ton of excitement. And rightly so. Fortunately for the city, we are one city getting the FIFA Fan Zone. On Monday, I thought I’d check the Fan Zone out for myself. Usually when there are special things like these, I go alone before I go with friends to see what it’s like. Such was the case when I went to the FIFA Fan Zone two days ago. It’s located at Landwill Park: a concrete parking lot big enough to host downtown events. It was also the sight of events held for the Vancouver Winter Olympics five years ago. 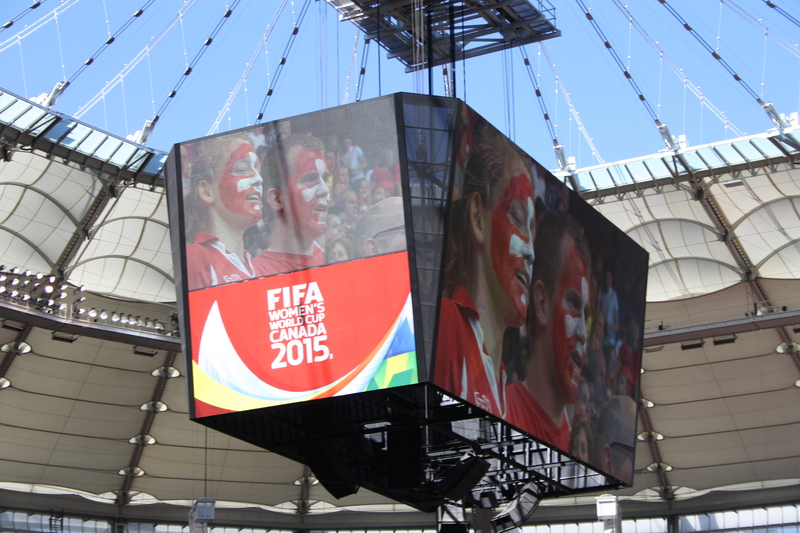 It’s located nearby BC Place which will host nine matches including the Final for the Cup. The Zone has Coca-Cola as a major sponsor. As such free Cokes were given out to people in commemorative World Cup bottles. 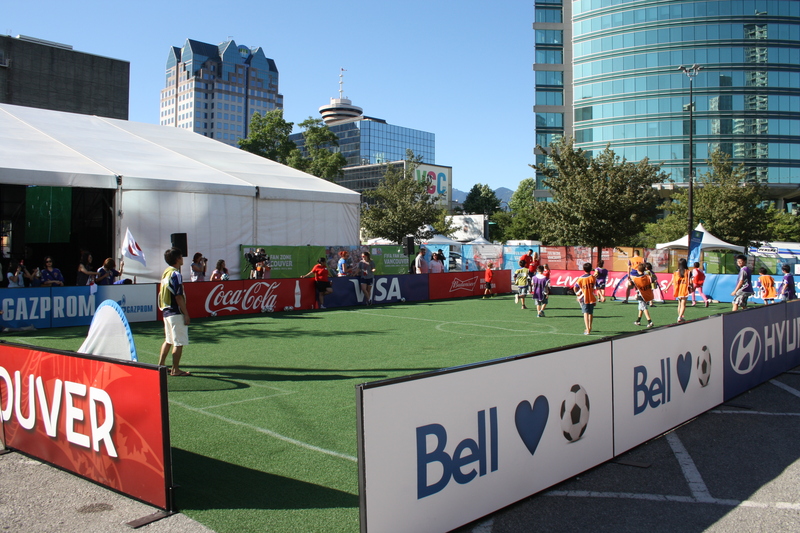 Coca-cola was the most noticeable sponsor at the Fan Zone but it wasn’t the only one. There was also a special photo stage from Adidas where one can get a picture of themselves kicking a soccer ball in a multitude of locations. There was also Hyundai asking people what kind of fan they are with a whole bunch of questions ending with entry into a contest to win a Hyundai. It wasn’t only the big brand names advertising there. There was also a Canadian online security system which featured a photo op to have you as the goalkeeper and asked what kind of defender you are in promotion of their online service. There were local vendors selling food. There was also the BC Sports Hall of Fame promoting their place. They also had a sample of the turf being used at BC Place during the World Cup. It looked like real grass but felt like silicon. The mini-field is an ideal place for small children to simply play football or learn new skills. The biggest thing you’ll notice at the Fun Zone is the games featured at the Fun Zone. Remember I told you about the Ultimate Goalie? She’s back and she still performs as well as she did back at Metrotown. Included especially for the Fun Zone is a child drop-off area where children can practice football skills on a mini-field. There were some new games this time around. There was also a dribbling game. It was a case of a mat of eight circles where one lights up at any time. You’re to dribble the ball to touch that circle. Once you get it there, you get 10 points and have to dribble to the next lit-up circle. You have to get a certain number of points to win a prize. I tried it and I didn’t! Goalkeeper Challenge allows the player to virtually block the ball with their hands. There were also video games involving performance. One was a penalty kick game called Kickpoint. No goalkeeper there but when you kick the ball to the next, the area it hits is of a certain pointage as displayed on the computer. Hit the area with big points and you win a prize. 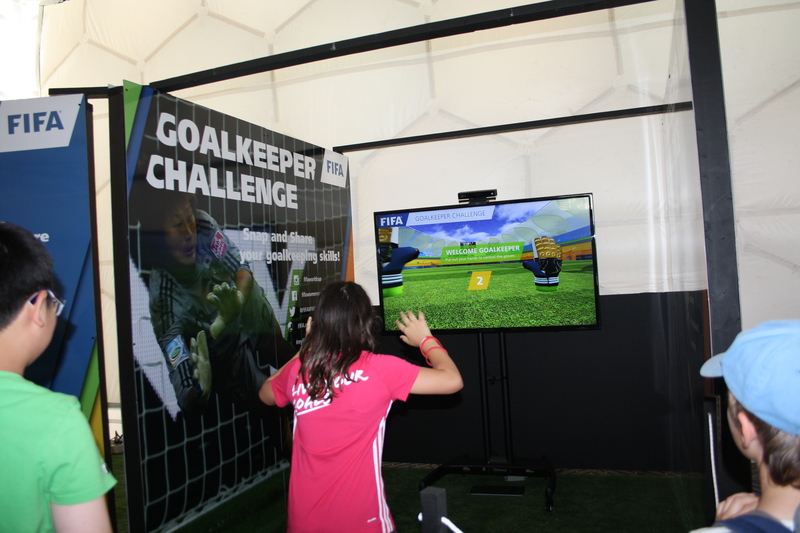 Then there’s the chance for the player to be the goalkeeper in the video game called Goalkeeper Challenge. However there’s no controller. This is a body scan game where the game corresponds with the player’s arm and hand movements. However they have to be in the right catching position as they will have to try to catch the virtual ball kicked at them. 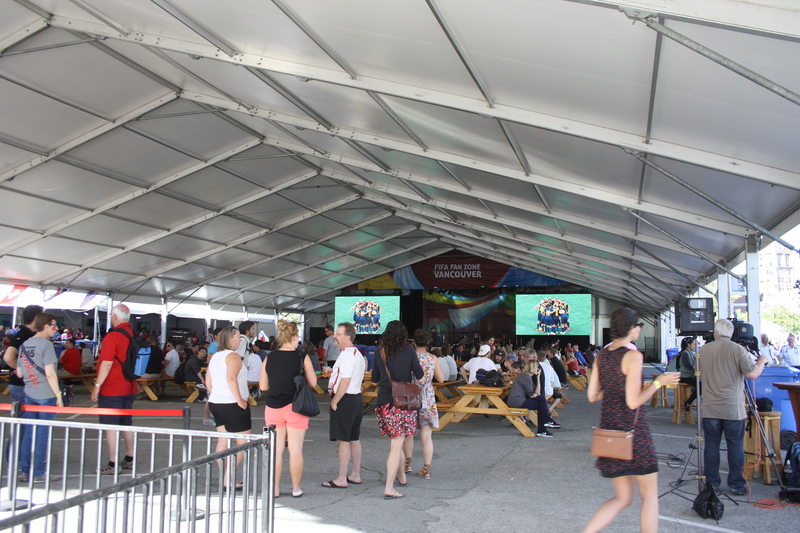 The Fan Zone is the place to sit back, relax and cheer you team on in a well-shaded area. The games are mostly fun for children. The Fun Zone is especially there for the fan. The Zone has a wide canopy where people can watch games on a Jumbotron. It’s a good opportunity to kick back, relax or even cheer loudly. Alcohol consumption is fine in the Fan Zone but the Zone includes a lounge area which serves special drinks. 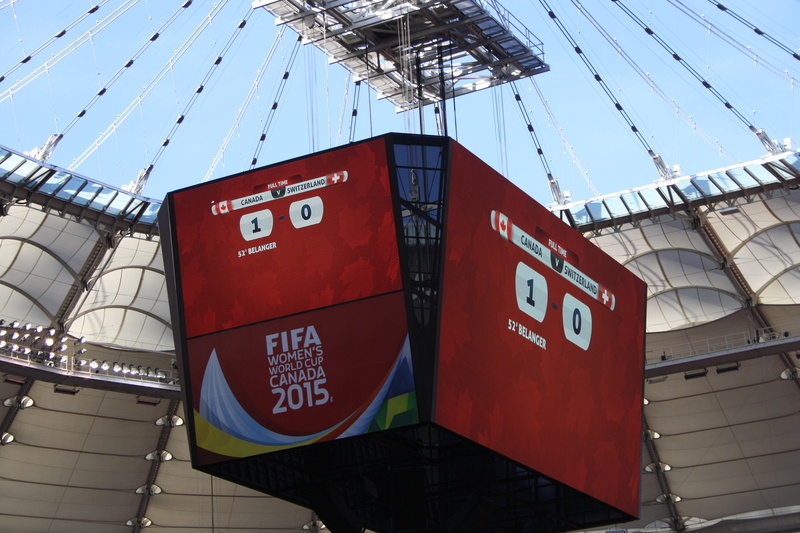 At the time, they were actually showing the U.S. vs. Australia game instead of the games being contested at BC Place. Games are already scheduled well in advance so even on the days matches are played simultaneously, there will only be one broadcast match. One thing’s for sure. Every game Canada plays will be broadcast there. 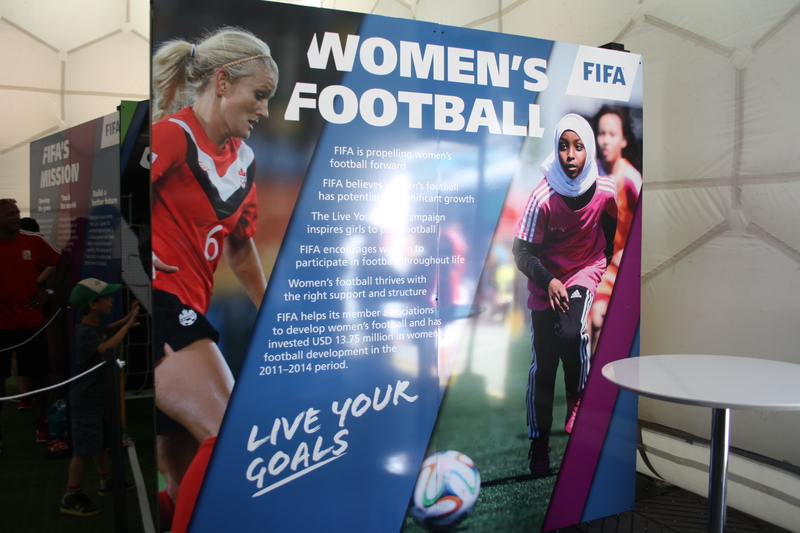 FIFA’s Live Your Goals campaign to expand women’s football was a major feature at the Fan Zone. Sure there are a lot of fun and games at the FIFA Fan Zone. However the Fan Zone also takes the time to focus on women’s football. The locker room-style setting where one learns of the history of the Women’s World Cup returns to the Fan Zone after good views at the trophy tour. The ‘Live Your Goals’ program that I talked about in my blog about women’s football is there for promotion. It has a goal and a vision of expanding football especially in developing countries and other countries where football has been traditionally seen as a man’s game. As mentioned in my former blog, it plans to increase the number of girls and women playing football from 30 million to 45 million before the start of the 2019 WWC in France. Musical performers are slated to perform on the days it’s open. As for my visit, it was nice to see what it was like to be there. It would be neat to see a game but especially if it was crowded. I know it will be during the finals or during games where Team Canada plays. I was also able to see a ‘freestyle footballer’ as she demonstrated her foot juggling skills with the football. That’s something that has been growing lately: freestyle football. I saw people get their faces painted to cheer on their teams. I saw a news crew from Switzerland interview a couple of Swiss fans. It was nice. 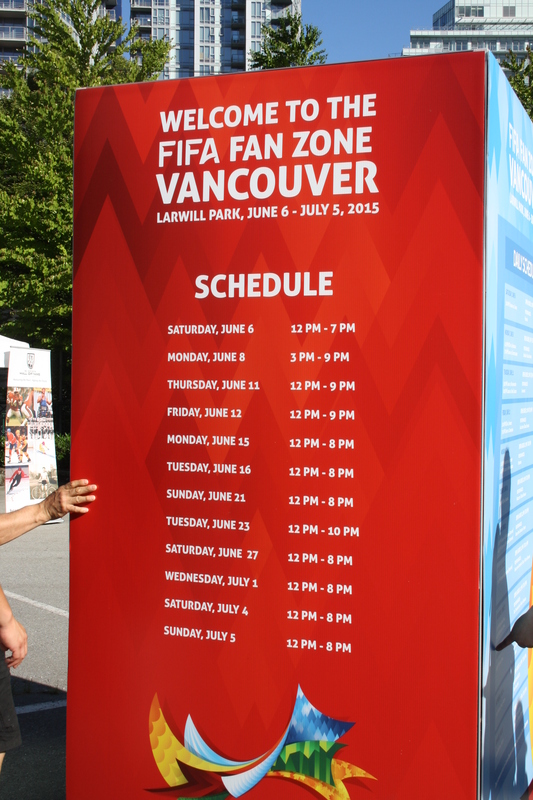 If you’re in Vancouver, go and visit the FIFA Fan zone when you have a chance. 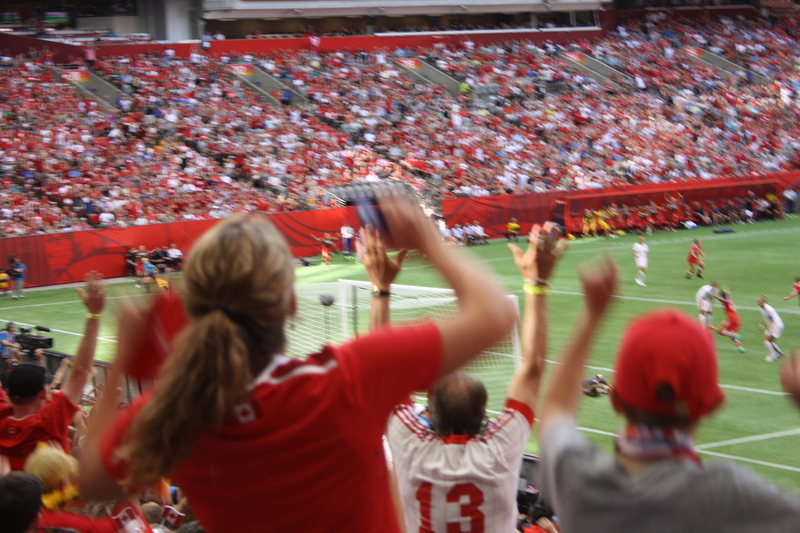 Good for families, good for young ones who want to cheer on their team, good for anyone. -France (3): France is one team loaded with talent and prowess but still looking for their first big break in a major international competition. The highest ‘Les Bleues’ have ever finished at a World Cup or an Olympics is fourth and they’ve never made it past the quarterfinal of a Women’s Euro. No doubt they come to this World Cup with something to prove and the hopes of finally proving it here and now. France has been very impressive in their play these past two months. They’ve only lost to the United States. This could be their year. -England (6): England is one of those countries that has constantly seen football as a man’s game leaving the women getting the short end of the stick. That was made evident in the 2003 movie Bend It Like Beckham. Things have gotten better as many Premier League teams have their own women’s teams like Everton, Aston Villa, Arsenal, Chelsea and Liverpool to name a few. They even have their own league, the WSL. Heck, even Prince William gave the national team a royal send-off before they left for Canada. However as they improve, so does women’s football as a whole and they struggle to show their greatness. 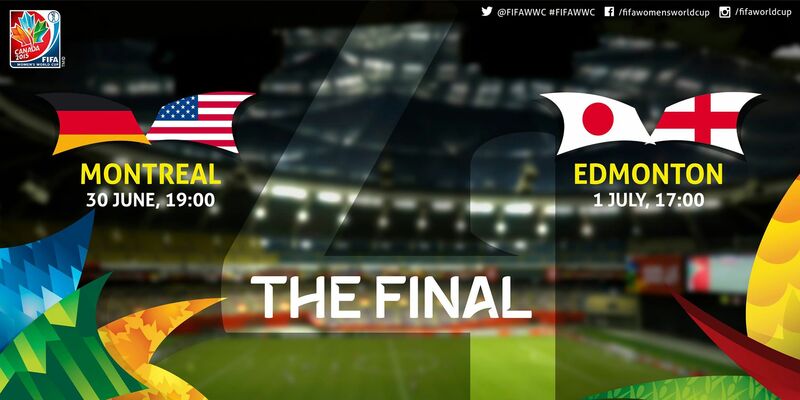 They’ve only gotten as far as the quarterfinals in the World Cup. 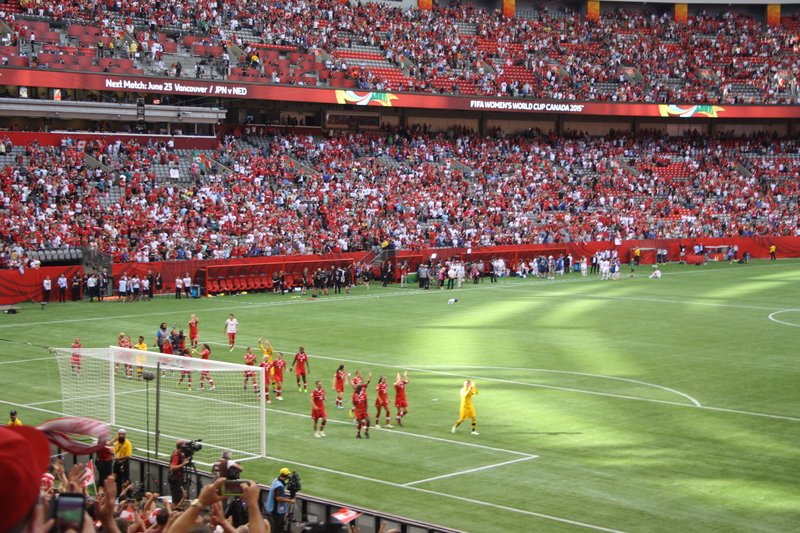 The ‘Three Lionesses’ did however make the finals of the 2009 Women’s Euro. Play for the national team has been a struggle in recent years. They failed to advance past the group stage of the 2013 Women’s Euro. They also suffered a blow knowing that there won’t be a Great Britain team for the 2016 Olympics remembering the difficulties getting Great Britain teams were for London 2012. So it’s no wonder they’ll be looking for Canada for glory. They did however win the Cyprus Cup back in March where they beat Canada in the final as well as Finland and Australia. The last eighteen months have also been consistent for England as they’ve won most of their matches, losing only to France, Germany and the U.S. Their reputation can increase after this World Cup which will be a plus because at last year’s World Cup, the men failed to advance past the group stage for the first time since 1958. Trust the girls to give England that well-needed upper. -Colombia (28): Colombia is an emerging nation in women’s football. They competed in their first World Cup in 2011 and they’ve finished second in the last two Copa America Femininas. They even have a berth in the 2016 Olympics upon their second-place finish at last year’s Copa and with winners Brazil automatically competing as host nation. However ‘Las Cafetaras’ are still relatively inexperienced in terms of international play. The only UEFA team they’ve ever won against is Wales and they’ve never won against Mexico. They have some good talent that even plays in American and European leagues but they still have along ways to go to contend for bigger things. Nevertheless it’s all uphill from here. It would be interesting to see how far they go over time. -Mexico (25): Mexico is one team on the move in women’s football. They’ve competed in two previous World Cups and one Olympics. 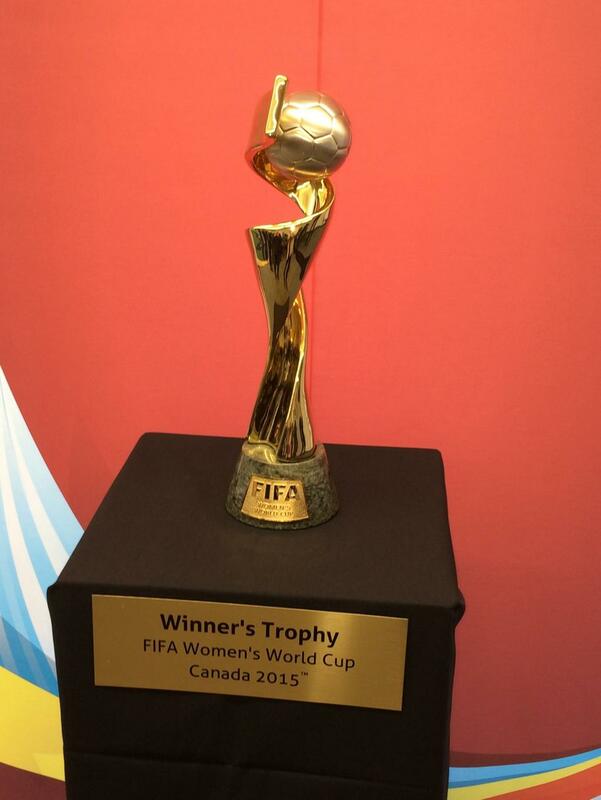 They’ve been runner-up at the CONCACAF Cup twice and medalists at the Pan Am Games three out of four times. ‘El Tricolor’ have a talented line-up with no less than twelve players playing for American or European leagues. This is the team that is most likely to pull an upset as they have drawn against England in their last meeting. Their qualifying chances are very good. They could also progress well but they have a mixed record from the past twelve months. They’ve won against Italy, Czech Republic and Colombia but lost to Canada, U.S., Costa Rica and South Korea. Nevertheless whatever happens in Canada, El Tricolor have a bright future. I feel France will take the top spot in this group. I feel England will most likely be second but Mexico could surprise. Mexico will definitely be third at the least. The stadium was built with the intention of being a highlight during Expo 86.It consisted of a unique air-supported dome until 2010. 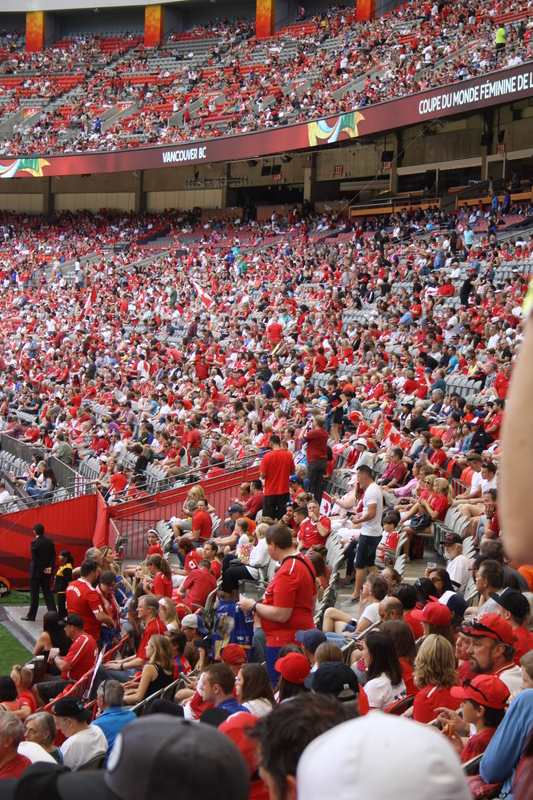 Highlights of its use have primarily been CFL games and concerts. 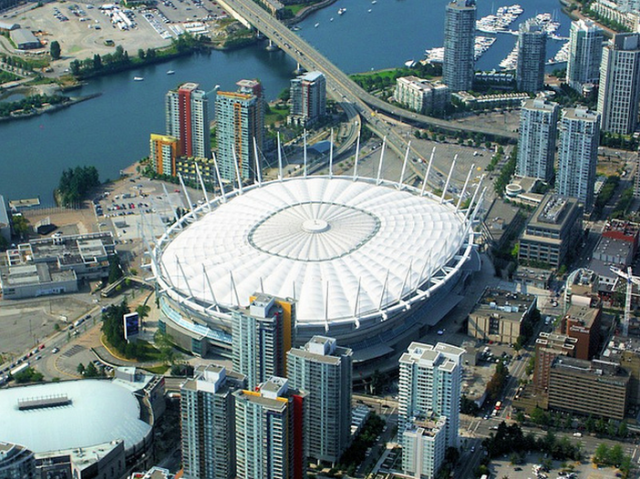 Noteworthy use in the past include Vancouver Canadians baseball games, the Pope’s visit in 1984, and ceremonies venue for the 2010 Winter Olympics and Winter Paralympics. Vancouver however has a special liking to the sport of football. BC Place’s first ever event in June of 1983 was actually a soccer match starring the Vancouver Whitecaps who were then part of the NASL. The Whitecaps have had a loyal following over four decades and whatever name changes over the years and their transfer to the MLS five years ago were met with open arms. The Whitecaps have since gone on to be the fifth-most attended team of the MLS. 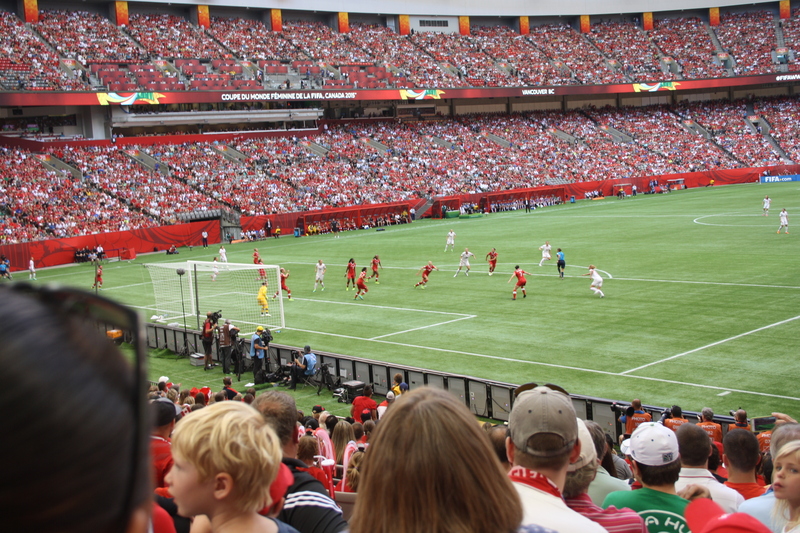 It’s no wonder with this kind of football support Vancouver was easily chosen as a venue for the 2015 Women’s World Cup. 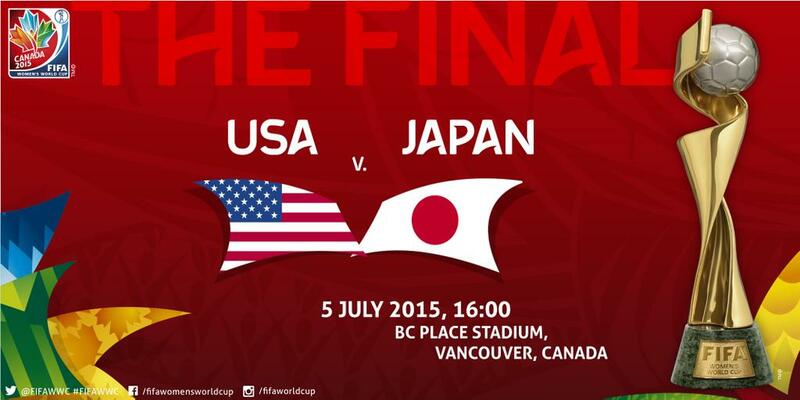 One noteworthy item: all the tickets for the final at BC Place are sold out. And there you have it. My last Women’s World Cup group review. 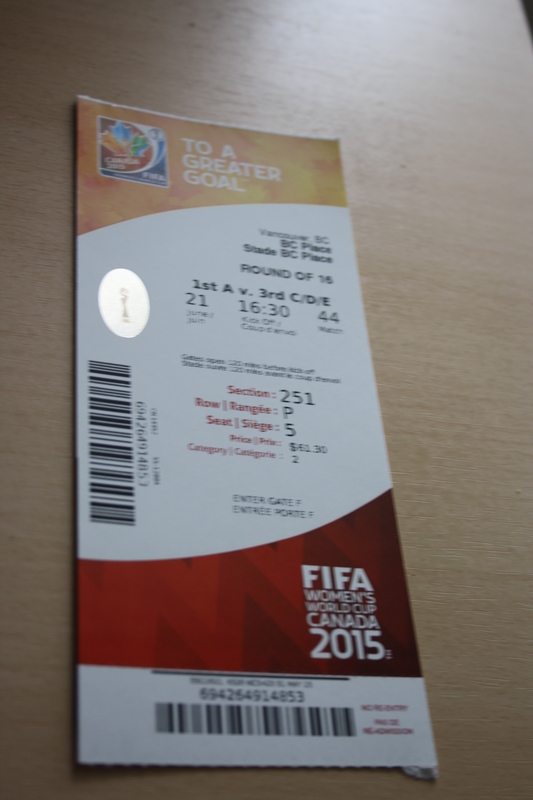 More WWC blogs to come like my experience at the Trophy Tour, tournament analyses and my own experience at a Round of 16 game (Yes, I have a ticket!). The Cup all beings in Edmonton on Saturday the 6th!